Sitting in a small tea shop in northern Vermont, the late autumn rain drizzles across the window. The warm fireplace buffers the cool air radiating across the small table. For such a day, there appears little reflection of the events from 50 years ago. 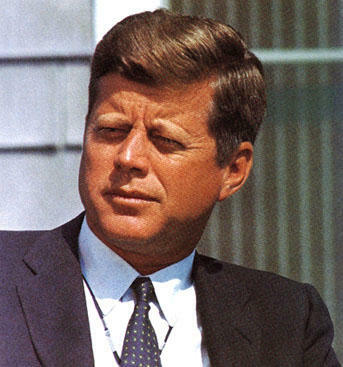 On November 22, 1963, a good man was assassinated. Mind you, John F. Kennedy was not a perfect man, but in many ways, his life was a terrarium of living that often mirrors who we are today. Far from the great technology we live and breathe, Kennedy stressed education and inspired many people, especially youths, during his tenure as president; to help shape our country’s strength (in unity); to strive for the least of those able to protect themselves; to reach for those segregated from normal society and the forgotten. He was a knight who ultimately set for himself a quest. A quest I believe that reaches across the bounds of death today and grasps at our heart. Tragedies loom large in our world. Yet if Kennedy were here today, we know and understand that Camelot never existed. But the people in it were always what we wanted — and needed. In truth, many of us play the great warrior. Yet, cutting back the onion of our lives, we are all physical wrecks. We have cancer, multiple sclerosis, we suffer from the loss of love and life. We drink too much, we live too little and we lost the faith in ourselves and of a nation. This is the involvement we all need, that personal point of connection where love transcends across the miles, through time, past and present. We are at a moment when leadership and intellect are desperately needed and how little vision for the future Americans have. We live in a generation of instant information and instant gratification where the challenges of living in unison are too often dismissed and lost by blind entitlement and “give-it-to-me-now” mentality. What Kennedy would remind is that a whole host of Philippine people lost their families and livelihood a little over a week ago; several communities in the Midwest were destroyed by sudden and violent tornados; over 300 people dies alone this year; cancer still kills, people and families remain homeless; and children are abused daily. Most of us will never be like Kennedy, Nelson Mandela or Mother Teresa. But we can perform many small things with great acts of love. When we do this, Kennedy remains alive and we honor his life and love.